I've long admired the European "cottage" car manufacturers, many of which, especially Britain's TVR, produced cars that are on my "most wanted list". Unfortunately, US safety and emission regulations kept most of these cars from ever reaching the US. In the US we didn't have any real cottage auto industry. For awhile Avanti could have been considered one, but the Avanti II, while somewhat desirable, was not a new design; it was just the continuation of a classic old Studebaker design. Oh yeah, we also had companies like Excalibur creating garish 1930s semi-replicas, but I would have rather been seen driving a Pinto than one of those. I was excited when I heard that Panoz was going to produce a car. 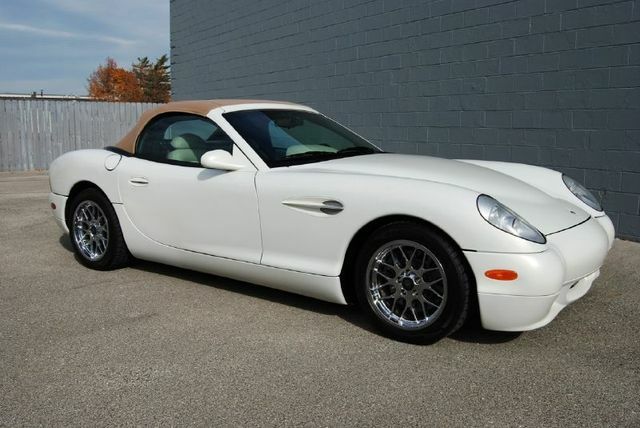 The Panoz family had the knowledge, expertise and, most importantly, the money to produce a world class car. That excitement quickly waned when I saw the car. 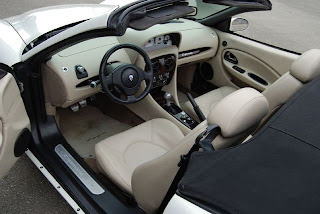 The Panoz AIV Roadster was a disappointment to me. It's technology was interesting and it was fast, but it was a toy. A cycle fender car with no roof. It also had no heater, no radio, no A/C. It was a car that you could only drive on warm, sunny, humidity-free days. There aren't a lot of those here in New England. 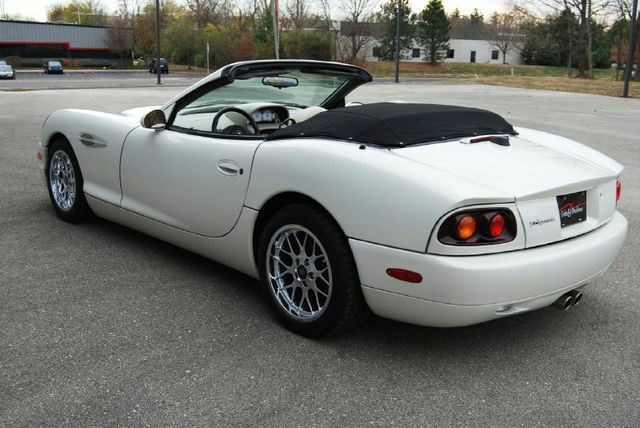 Then Panoz introduced this, the Esperante. This is a world class sports car. Like the best from Europe, it's a car you can run on the track on the weekends and drive to work during the week. This is a car I want to own. Like most small manufacturers, Panoz bought many parts from major manufacturers. A lot of the Panoz comes from Ford's parts bin. The engine is a 4.6L/320-hp Ford SVT Cobra V-8. The Esparante body and frame are aluminum. It weighs less than 3000lbs. It gets to 60 MPH in about 5 seconds. These cars ran around $80K when new. This one, which appears to be in spectacular shape, is being offered for half that. Located in Indianapolis, Indiana, click here to see the eBay listing. Motor Trend ran a great article about the Esparante back in March, 1999. It's worth reading. You can find it here. Not too keen on the front but the rest of the car looks perfect, reminds me of a TVR Chimaera, never knew such a thing existed. 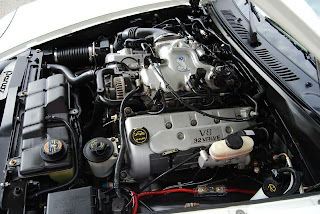 TVR went one step further with there cottage car industry making there own engines which I could never understand the logic when more reliable power trains were available in the US for less. And that center console looks crazy, I love it. Now if they would just change the front bumper so that it doesn't look like someone blowing their cheeks out. Geek, I agree with your point regarding the European "cottage" car builders. It's a real shame that in the US during the malaise era we were stuck with a myriad of neo-classic builders. I always had the feeling that those guys were swapping out the replicar molds and pouring fiberglass hot tubs when the car orders fell short. Their hearts never seemed to be in the car biz at all. The only vehicle I can think of that would need FOUR trumpet horns stuck on the front would be a fire truck. I never really saw the excitement behind the Esperante. Maybe it is due to the fact that it looks like a 911 reflected on a fun house mirror... or maybe it's because the car reminds me of a Qvale, a car with an equally ridiculous name. Likewise, the name "Esperante" sounds uncomfortably close to that manufactured language that nobody ever ended up speaking. An "Esperante" reminds me of something Cadillac would build. They did not hesitate to give their cars crap names like "Allante." It is easy to imagine a 1988 Cadillac Cimarron Esperante, with a "faux cabriolet" roof and sporty appointments such as a "faux" luggage rack on the trunk. Richard, you brought up the subject of TVR, a company which made some fantastic looking automobiles during the Wheeler era. I agree with the V8 assessment and remember those articles in the British motoring press. It's wierd how a Wheeler era TVR can be currently found for peanuts on eBay UK. Too bad most are RHD. Funny though, the son of a Russian oligarch supposedly ran TVR into the ground. Panoz was started by the son of a pharmaceutical magnate, and seems to have prospered. "In 1978, the Seville Elegante introduced a new level of finish and luxury..."
White makes those cheeks look like the Pillsbury Doughboy.... I could live with that for the rest of these cars is spectacular.